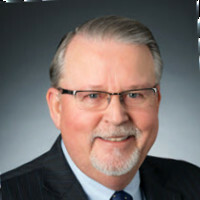 A veteran facility management and corporate real estate professional, his background includes diverse experiences in facilities organizational development and operations, quality and process management, design and construction, FM outsourcing, procurement, and critical infrastructure operations. Stanberry is an active industry advocate, serving in a number of volunteer leadership roles as a member of IFMA, the IFMA Foundation and the U.S. Green Building Council. Connect with him at www.linkedin.com/in/deanstanberry.